The Iron Cross 4" Stainless Steel Wheel to Wheel Tube Steps are the perfect addition to any truck that needs a great step, while maintaining its great look. These bars run from wheel to wheel and provide 3 step pads for an extra slip-resistant grip. 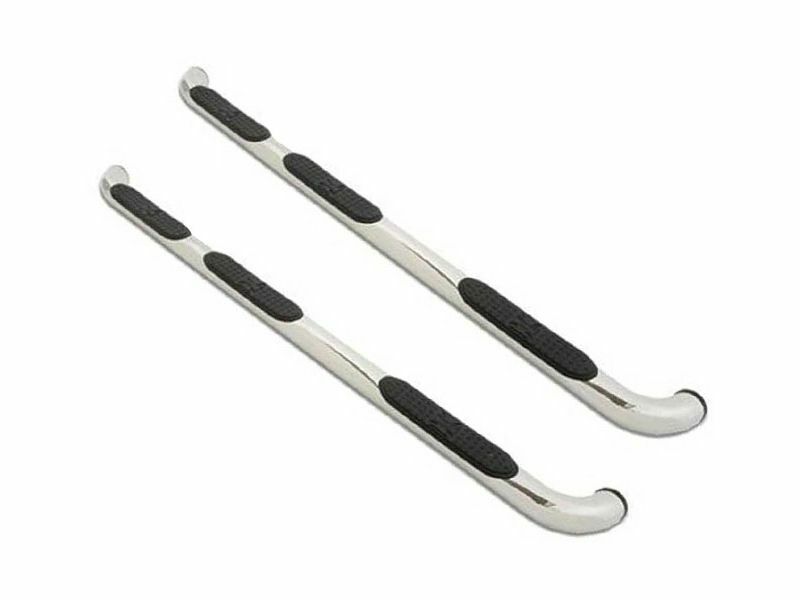 The Iron Cross 4" Stainless Steel Wheel to Wheel running board is a polished steel bar with 3 anti-slip step pads for great traction. Knowing that every step you take will be a safe one, you'll be thrilled to have the great looking stainless steel nerf bars on your truck.